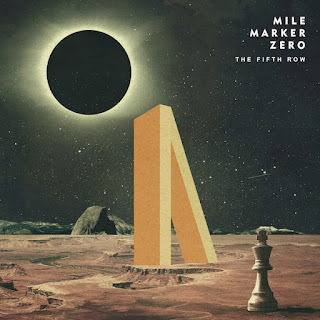 Connecticut-based prog rockers Mile Marker Zero are excited to announce their sophomore full-length concept album, "The Fifth Row", scheduled for release on March 2, 2018. Consisting of 15 tracks which brilliantly showcase the band's melodic hooks and unique arrangements, the record was self-recorded at the band's home studio before being sent for mastering via Andy Vandette (Rush, Devin Townsend). Vocalist Dave Alley revealed the concept behind the album stating, "The Fifth Row, is a reference to the legend of "rice and the chessboard" and is frequently used by futurists as a way to show exponential growth in technology. As a society, humanity is currently in the "fifth row" of the chessboard, a time which changes in technology happen so fast that they are almost impossible to accurately forecast or predict. The role of artificial intelligence and technology in our lives is a pretty hot topic right now. 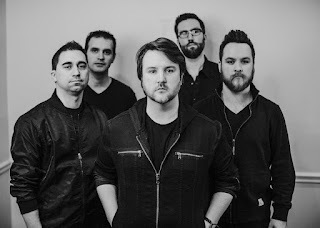 When we decided that we were going to do a concept album, it just seemed like the perfect topic to dive into given how we grew up and how technology influenced our lives." On behalf of the cover artwork, as seen featured above, Alley added, "The album cover is filled with small references that are important to the band, and to our story. Growing up, we were all big fans of 2001: A Space Odyssey, and for the album cover we wanted to tip our cap to that film. Showcasing a monolithic element on the cover was the perfect way to pay tribute. The chess piece representing the dominant power in our story's future and the eclipse symbolizing the end of mankind's reign here on earth. Even the landscape itself is a deliberate reference to our first self titled album." Hear a sneak peek of "The Fifth Row" in the teaser video clip here: https://www.youtube.com/watch?v=fRvd8FL_rRQ.